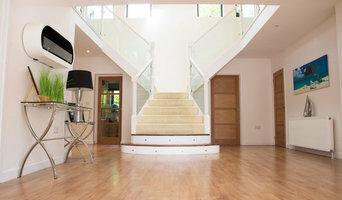 Manorwood specialise in traditional architecture and construction. 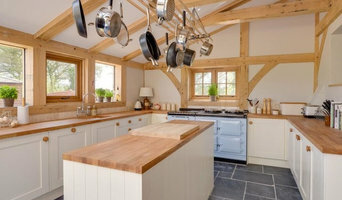 We are a design and build company focusing on the highest quality craftsmanship throughout West Sussex, Surrey and East Hampshire using traditional materials and techniques. The company was formed by the two directors after almost 15 years of working together on various projects throughout the South East. With a combined experience of nearly 30 years and involvement in over 300 projects, Manorwood offers a solid and well managed team that provides a fully managed and personalised project. We are not simply another building company, nearly all of our work is in period properties and many of which are listed buildings. We use qualified and experienced conservation specialists to carry out repair and restoration works and work closely with statutory bodies such as Historic England and local authority conservation officers, many of whom we have formed solid professional relationships with, to deliver high quality work that respects the original building and ultimately provides beautiful homes for our clients. Where we carry out new build work it is nearly always based on traditional architecture and uses traditional materials, often with the highest standards of modern living inside. Traditional Practice operating predominantly within the Hampshire and Wiltshire areas, specialists in conservation and development in sensitive areas. Offering Planning, design, working drawings, specifications, contract administration and interior design services. Macallan Penfold Chartered Architects is an award-winning architectural practice based in Hampshire. The practice has been operating for almost thirty years and has established a reputation for delivering design excellence and innovation to clients across the public, private and subsidised sectors, including specialist education buildings for art, science and music, sports and community halls, libraries, restaurants, and performing arts facilities. We have won multiple local design awards and have been shortlisted for the RIBA Download Prize on three occasions. Such a consistent and rigorous approach produces creative design solutions that are not only intelligent and responsive, each with a distinct identity, but which add real value. Our success has been achieved by gaining a thorough understanding of each individual client’s needs and aspirations, an appreciation of the specific drivers of each project, and a detailed knowledge of each building type. We pride ourselves on the quality of service we provide: we think laterally and are particularly adept at resolving difficult challenges. A high level of repeat business serves as a testament to the strong relationships we forge with our clients and the quality of our work. The expansive portfolio of buildings designed by the practice stand the test of time and have successfully satisfied and exceeded the expectations of our clients’, making a positive contribution to the wider community that they serve. They are being used and enjoyed by large numbers of people every day, whether as places to live, to work, to learn, to collaborate, or simply to socialise and relax. 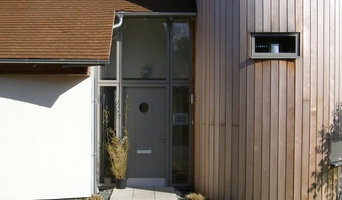 We are a small creative architectural practice based near Lymington. Located close to the New Forest our work is mostly in Hampshire and Dorset. With significant experience in delivering projects we offer architectural and interior design services. The practice provides a flexible client focused service offering clear ideas, inspiring solutions and is committed to help our clients realise their aspirations. Designers and Architects of traditional and contemporary timber structures including oak framed houses, barns and conservatories. Winner of numerous awards for our work including 3 times winner of the prestigious Gold Wood Award. An exceptional achievement – no other company has achieved this accolade more than once. Chaplin Farrant Wiltshire is an award-winning architectural and interior design practice which offers clients innovative, high quality professional design and full project services from inception to completion. From our Winchester base we can provide services as a residential architect to clients across London and the Southern region. Small enough to provide each client with a personal service, the practice nonetheless has experience of a wide range of types and sizes of project. Its association with the CF Design Group gives the practice additional architectural resources and enables it to offer multi disciplinary consultancy services from within the group. Chaplin Farrant Wiltshire is directed by Martyn Wiltshire. The experienced and dedicated office team have successfully completed projects in the commercial, residential, retail, education and health sectors. The wide skill base and experience of the practice enables us to take on projects from low energy new builds to restoration of historic listed buidings. Paul is a Chartered Architectural Technologist and has worked in both Architectural and Building Surveying Practices for over 25 years. Prior to starting PDK Architecture and Surveying he was a director of Architecture and Building Surveying for Baqus Group. Paul is widely experienced in all areas of Construction. Key Skills and Experience · Architectural design of all aspects of construction, from minor alterations to £ multi million new build and refurbishment projects. · Project Management of Healthcare, Education and Commercial developments. · Building condition surveys. · Measured Building surveys. · Domestic Alterations. · Cost Management. · DDA access Audits. The values of the Practice are to provide a customer focused service and be attentive to detail. With this we pride ourselves on being professional and flexible, yet informal and easy to deal with. Our goal is to build and maintain long-term client's relationships, by dedication to providing our service on time and within budget. 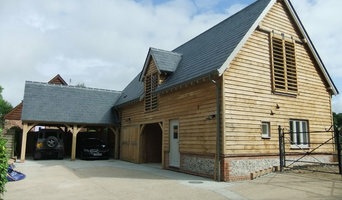 Design & build of Oak frame buildings. jbA is a dynamic architectural practice based in Chichester, West Sussex with a satellite office in Newport, Isle of Wight. 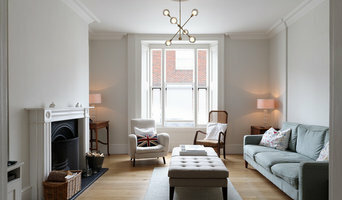 The firm has built a reputation for delivering an integrated service of quality design, structural engineering and planning advice. DESIGN, DRAFTING & ADMINISTRATION of Building Projects in the South-East Architectural design services is a south-coast based architectural practice providing design, drafting, administration services and project management to home owners, small developers and local contractors. We operate exclusively in the residential market offering cost effective, good quality design for extensions, conversions, new builds and small scale developments. Our straight forward, simple and cost effective approach allows our clients to get the most from their budget. Biotecture is a designer and supplier of hydroponic, modular living wall systems. We are an innovative, UK based company, managing projects across the country, and working with partners in Scandinavia, mainland Europe, North America and the Middle East. Our vision is to transform urban architecture for the well-being of people and planet through innovative use of vertical greening. We welcome commissions and construction contracts both large and small, from private, public and commercial clients. We work on principles of collaboration, integrity and excellence, believing that our shared expertise will bring the best results.